King David in the Bible enjoyed enormous success. One reason he did so well was King David was surrounded by “Mighty Men.” These were extraordinary men who did amazing in the kingdom of Israel. First Presbyterian Church has mighty men who are doing amazing things in the kingdom of God today. The meeting takes place on Monday or Thursday, generally, in the third or fourth week of the month, and includes dinner. If you’d like more information please contact the church at 483-0121 and check the web calendar for meeting dates. In addition to the more traditional Men’s Ministry, the men of the church use the basketball court in the Fellowship Building on Tuesday nights, 7:00 p.m. 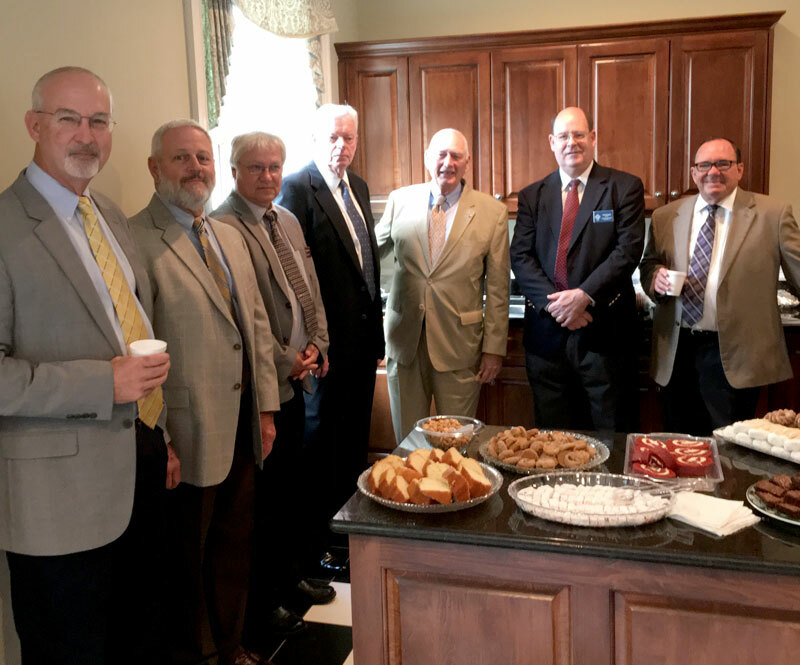 Right: David’s Mighty Men host the fellowship during worship on September 18, 2016.